“Your security is our topmost priority.” You have probably heard this line a thousand times. People usually encounter this with bank transactions or any establishments that require security. It is indeed everyone’s concern to be secured and feel protected. 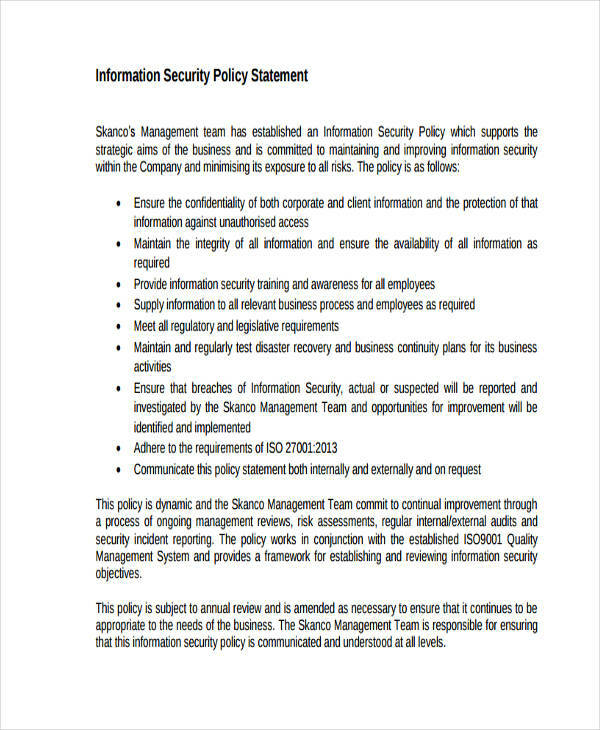 So what most businesses do to gain consumer trust is to mention security in their mission statements. We can’t help but put first our security above our wealth and all physical possessions. What is money without your life, right? 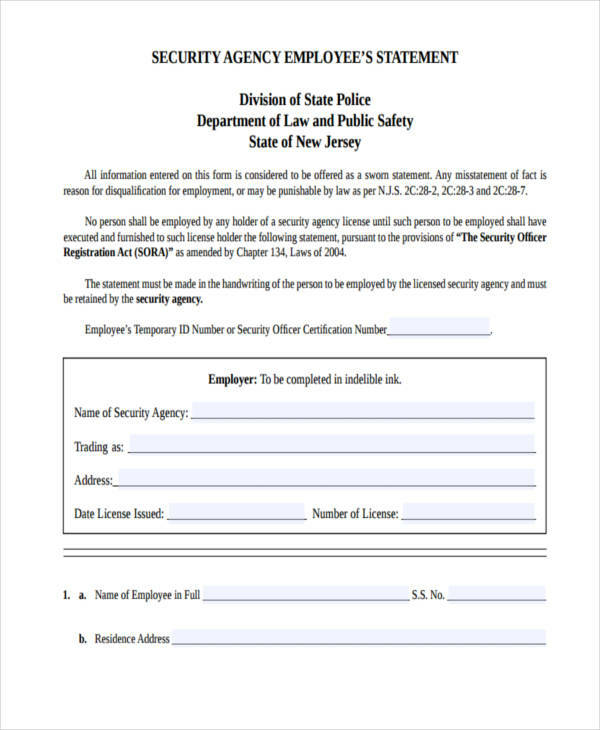 Security agencies who are seeking for employers always include in their summary statements the kind of protocols they observe to provide the best security. This strategy definitely sells specially if you have effectively written your security statement. What Is a Security Statement? 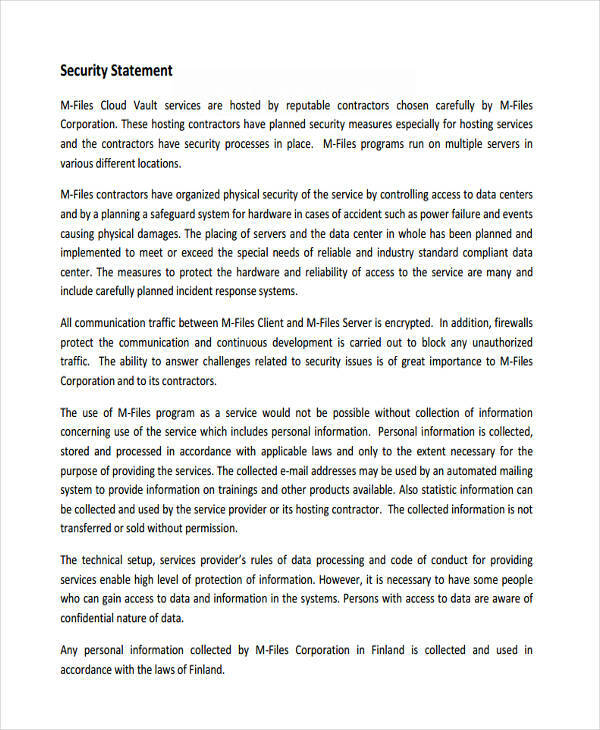 A security statement is any written or outspoken declaration of a commitment to provide security. Just like other types of statements, it serves a direct purpose to its subject. 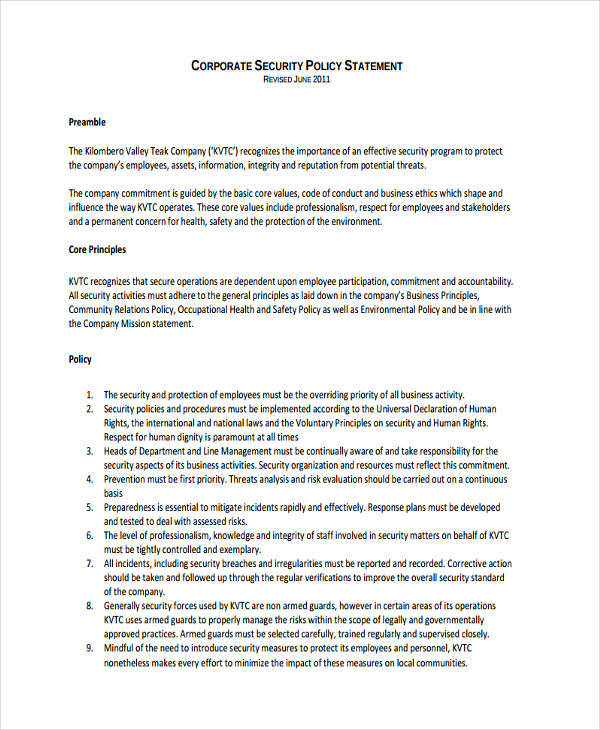 (see statement examples in Excel) A security statement aims to provide a brief but clear and transparent message to its audience about the safety and protection of its constituents. 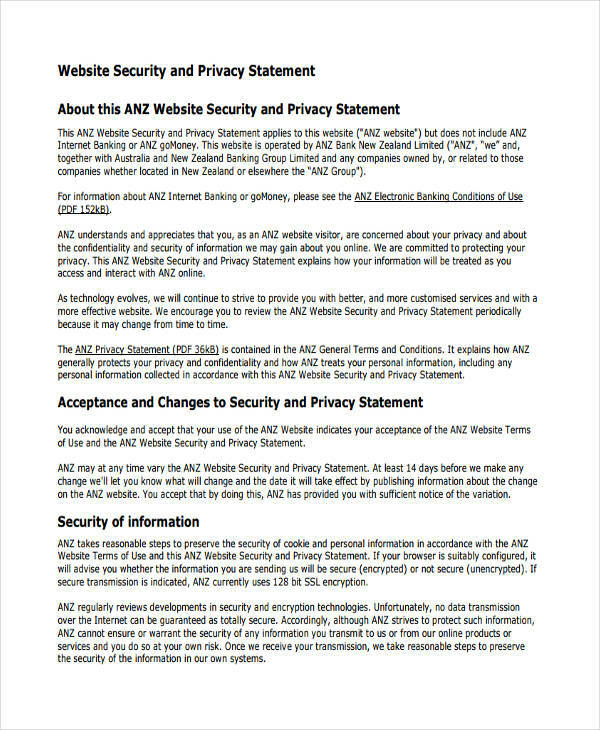 A security statement has different variations. It can be included in a company’s value statement in order for them to better identify themselves among their competitors as well as to have a better connection with their consumers. After all, customers are always after their security and protection of their rights when it comes to purchase of merchandise. 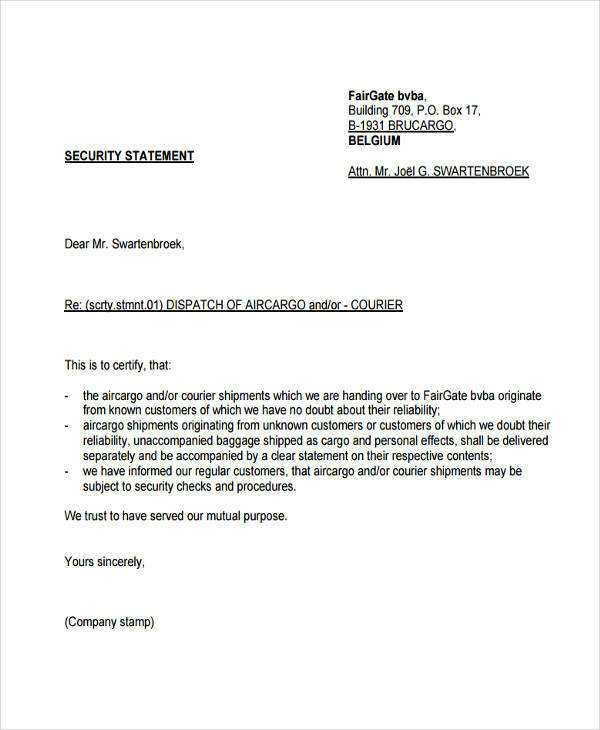 Another type of a security statement is used in freight and cargo assurance. A piece of paper is attached together with the parcel declaring all the necessary security protocols used to ensure its safety. With the emergence of the digital technology, security and privacy statements are also used to protect online users and consumers. The most common example of this are secured websites. 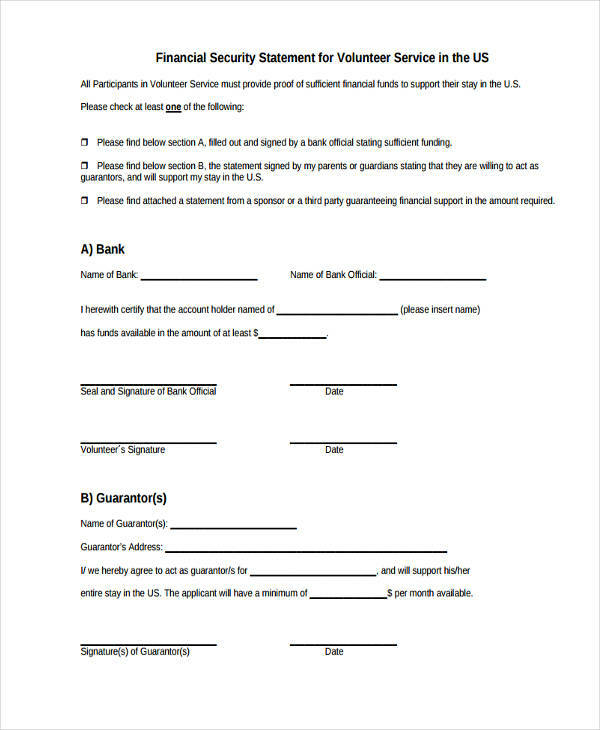 Bank statements and other commercial entities use security protocols so that visitors or users of their website know that their personal information are protected and that the site can be trusted. 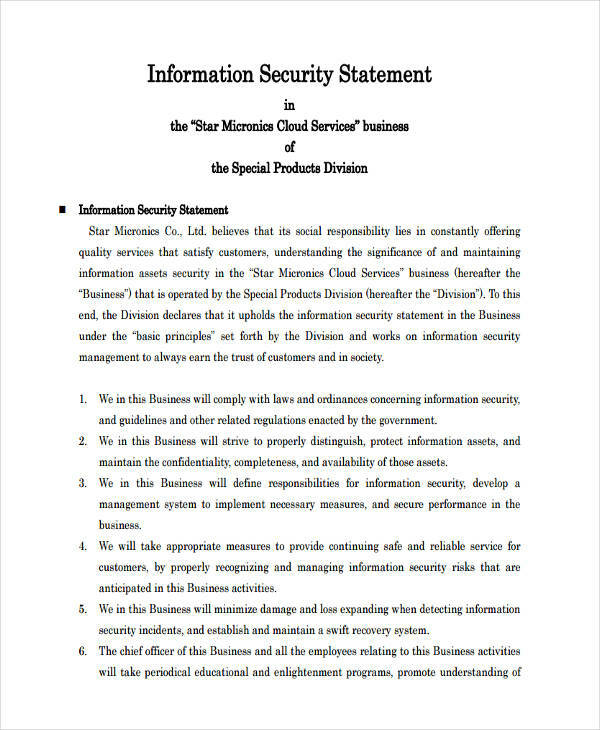 A security statement has an essential purpose in business. It provides a deeper assurance to consumers that their privacy and security is not at risk nor can be impaired. When a business has a security statement either on their mission statement or value statement, consumers tend to trust more compared to those who do not have. In the advent of the technological era, people were so immersed on the benefits that they forgot about their personal information. As new inventions and computer software versions were developed, security threats and viruses have also started to spread causing millions and even billions worth of financial loss. 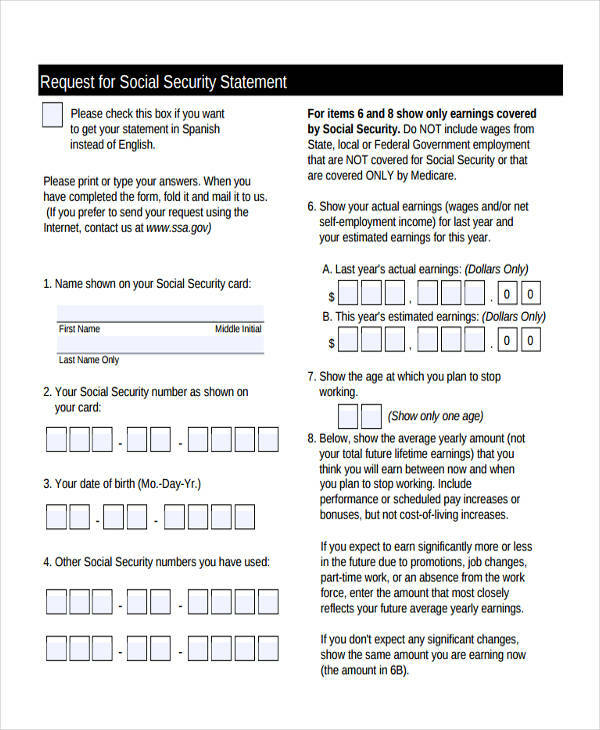 In addition to that, personal data have also leaked to the public including banking information. People have become more and more vulnerable to hackers and identity theft. Because of this massive global security threat, information technology specialists thought of ways to counter any move to impede digital protection. As a part of safety protocol, security statement analysis have to openly available to consumers. This allows them to carefully study a product or service before purchasing it. Providers become more committed to the confidentiality of information and protection of their clients. All because of the help of a security statement.